PGS confirmed that a multi-client agreement covering Egypt’s Western Mediterranean Sea was signed Wednesday 24 June 2015 by Egyptian Natural Gas Holding Company (EGAS) and PGS. Following a competitive tendering process, PGS has been selected by Egyptian Natural Gas Holding Company (EGAS) to supply services related to the largest seismic oil and gas exploration project in the Mediterranean. The MultiClient Agreement covering Egypt’s Western Mediterranean Sea was signed Wednesday 24th June 2015 by Egyptian Natural Gas Holding Company (EGAS) and PGS Egypt. The project is designed to rejuvenate the existing 2D and 3D seismic database, and further develop the knowledge base of this exciting exploration region. A series of new acquisition projects are planned, with new 2D acquisition expected to start towards the end of this year. These will apply the most advanced new broadband seismic technology, PGS GeoStreamer®. PGS is currently discussing the pre-funding of these projects with interested companies. PGS has over 20 years of exploration experience from offshore Egypt, with a history of activity in the area from 1994 to present day. 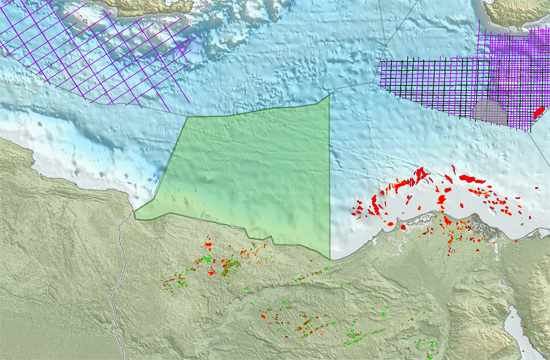 During that time PGS has acquired a significant amount of seismic data in Egyptian waters, applying the best available acquisition and imaging technology. EGAS evaluated technical, operational and imaging skills when selecting their seismic supplier on this ambitious project. This project will further PGS’ successful track record in the Eastern Mediterranean region, building on previous collaborations with authorities in Greece, Cyprus and Lebanon, and further evolving our significant Middle East and Mediterranean MultiClient library. Egypt’s Mediterranean Sea offers exciting opportunities for oil and gas companies who would like to evaluate a relatively unexplored area in a region with significant hydrocarbon potential. The work program associated with this project will further increase PGS’ MultiClient expertise and coverage in the Eastern Mediterranean, gathering new insights to define the hydrocarbon systems in place, in close collaboration with EGAS and the petroleum industry. PGS is honored by being awarded a non-exclusive MultiClient agreement by EGAS, and is looking forward to a long and fruitful partnership in further advancing hydrocarbon exploration in Egypt. PGS will work closely with EGAS to make the next license round over this area a success.